The Rialto Bridge is one of four bridges that span the Grand Canal. The stone arch bridge was constructed using marble and was designed by Swiss engineer, Antonio da Ponte. Construction was started in 1588 and was completed in 1591. It connects the districts of San Polo and San Marco. 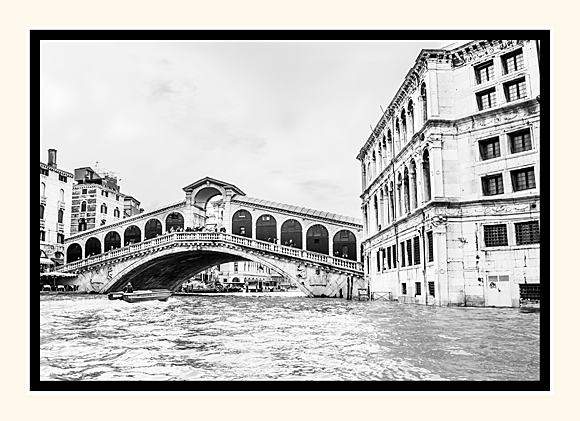 The bridge is one of the most famous bridges in Venice with thousands of tourists all year round enjoying the shops on the bridge and taking in the breathtaking views from its walkways.